City of Edinburgh Kool Kats struck an early psychological blow in their bid to retain their Scottish women’s basketball title after decisively beating last season’s runners-up Lady Rocks at Portobello High. Both teams had easily won their opening matches of the new season, but coach Ben Gunn’s side led from the tip-off and were 46-29 up at half-time. The gap grew to 28 points in the third quarter before Kats eased off in the closing stages, eventually winning 75-57. Inspirational captain Emma Findlay won her personal battle with Rocks summer signing Yhana Van Wees as she drained four three-pointers on her way to a game-high 25 points. Tracey Phillips (18) and Leanne Page (12) also made it into double figures for Kats. “I was delighted with the performance as much as the result,” said coach Gunn. Kats visit Edinburgh University this Saturday, and the students will be much happier after bouncing back from an opening defeat to St Mirren to trounce West Lothian Wolves in Armadale. Wolves had shipped 94 points in both of their previous matches this season, and a clear 73-32 win gave Donnie MacDonald his first victory as the university’s new head coach. It was a quieter weekend in the men’s league with City of Edinburgh Kings not playing and Boroughmuir Blaze away on tour. 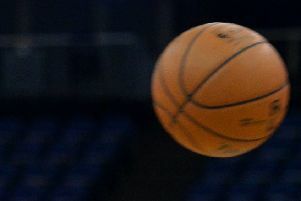 While Blaze won three games out of four at a tournament in Poland, Kings saw Falkirk Fury and defending champions St Mirren beat Stirling Knights and Glasgow Storm to join them and Dunfermline in a four-way tie at the top of the table. Kings are back on court at Edinburgh University on Saturday. The students themselves made a losing start to the season when newly-promoted Edinburgh Lions pipped them in an epic local derby at Oriam to record their first-ever victory in the top flight. Following two straight defeats, Lions led 39-37 at half-time and went on to win 77-73 after Dionisis Papatheodorou (17 points) and Aiden Gallagher (14) both landed late three-pointers to see them over the finishing line. Lions play Glasgow Storm this weekend. 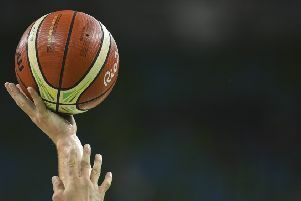 In the preliminary round of the men’s Scottish Cup, Pleasance Basketball Club suffered a premature exit after going down 59-56 to Portlethen Panthers at Forrester High.